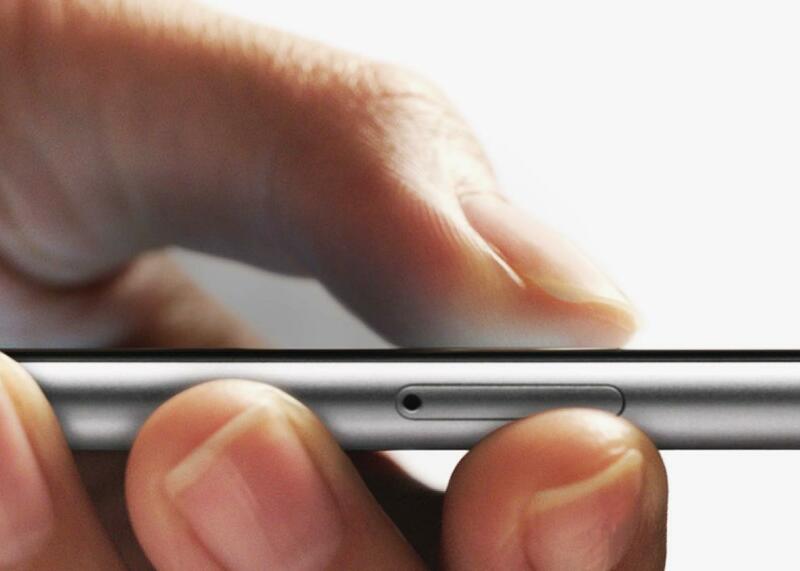 Apple's 3D Touch: Of peeks, pops, and the future of intuitive interfaces. To touch, perchance to dream. If you want to understand the potential of 3D Touch, the new of method of tapping and pressing on the screens of the latest iPhones, forget about the marketing lingo. Don’t think about Peeks or Pops or Quick Actions. Instead, think about reading—the kind you do with a textbook, highlighting text and scribbling in the margins. The kind of reading that you basically can’t do on your phone. All those steps will soon turn into this: Press extra-hard on the screen and swipe across the letters. Presto; highlighted. “Instead of being an entrenched action that’s really full of friction,” Petschnigg says, “it becomes something that’s really intuitive.” Apple has already shown a couple of 3D Touch–based improvements here—you can now press extra-hard on your iPhone screen to define a word, for instance. But that, as with all of the tech inside 3D Touch, is just the very beginning. What’s lost inside the flash and branding of Apple’s new features is that your iPhone now has a pressure-sensitive display—and Apple’s providing data about it to developers in real time. On the iPhone screens are incredibly sensitive and incredibly responsive. (“It’s very clean, very linear, very high-resolution,” Petschnigg says. “That’s technical speak for, it’s rock solid, it’s totally accurate. You probably could build a sail using that stuff.”) Developers are still trying to wrap their heads around what all that means, but when they do, it could turn 3D Touch from glorified right-click into really, truly, the biggest interface innovation since multitouch. The key change, Petschnigg says, is that pressure can help you distinguish between selecting something and doing something to it. Until now, those have been the same—as soon as you tap the screen, the thing under your thumb snaps to your control. But if you separate selection from manipulation, you get much more powerful, much more natural control. Things move more naturally, with weight and inertia. You can move the same things different ways, and different things can happen. “Say, a building block,” Petschnigg says. “Kids know that there’s a difference between lifting up the silicon block and pushing it.” We lost that nuance with multitouch, and pressure touch can give it back. Here’s an easier example to understand. Magic Piano, Smule’s popular ivory-tickling app, uses 3D Touch in the most obvious of ways: to figure out how hard you hit the keys. Smule CEO Jeff Smith says this changes everything. “What’s happened with this new technology is we’ve moved from the harpsichord to the Steinway.” Before, the only way to change the tone and feel of a piece of music was to play a note longer—now you can play it louder. Or softer. Most people, though, won’t know this tech exists. And many more won’t know what to do with it. So Magic Piano now comes with a new slider in the app—slide it to the left, and the app does all the crescendo and dynamism for you. But slide to the right, and you’re entirely in control of whether “Somewhere Over the Rainbow” sounds stiff, lively, happy, sad, whatever you want. The slider solved a key problem, Smith says: “How do we find the balance of opening this up to people but over time giving people the tools to literally perfect piano playing?” He suspects that most people who use Magic Piano will start with the slider to the left but soon start moving it right and taking more control over the sound of their music. After a week of using the new iPhones, I’m not blown away by what 3D Touch looks like now. Quick Actions are great, Peek and Pop are handy in spots, but none deserves the praise lavished upon them so far. So far. It’s been a while since I’ve talked to developers so excited about the possibilities of a new feature, simultaneously trying to integrate it and wrap their head around how big the possibilities actually are. 3D Touch is going to make using your phone—with your finger, with a stylus, with the tip of your nose—more natural, more obvious. It will let you do things you’ve never been able to do before, and it’ll let you do things in a way that actually makes sense. You’ll swipe to move something, press hard to select it. You’ll stop pinching—which, if you think about it, is a non-intuitive gesture—and start moving things with a single push. But it’s going to take a while. His point: That took years to figure out. And it was just a lockscreen! But we’re learning, slowly but surely, how the digital world should (and shouldn’t) reflect the natural one. And with pressure touch, we have more tools than ever to help us do it. Eventually, they won’t just come from Apple and that Huawei phone you can use to weigh an orange. Just as multitouch did, this kind of technology will be everywhere, fast. Everyone will have their own branding just as ridiculous as 3D Touch. But together, they’ll reinvent the way we use our phones.